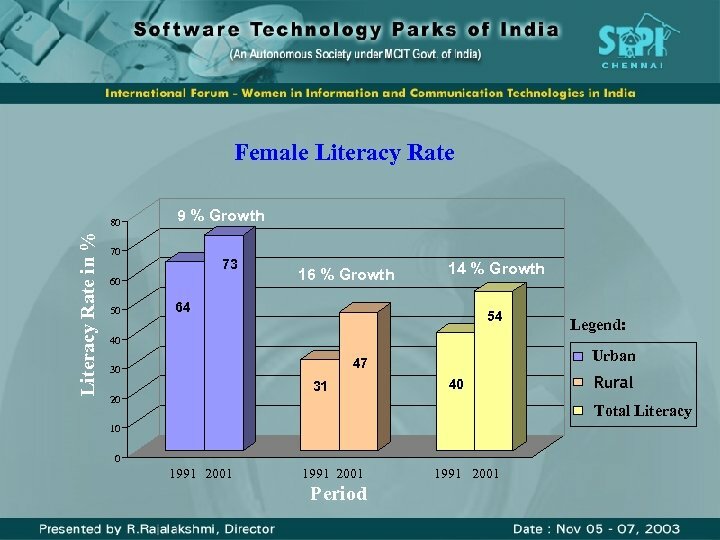 Educated Women in India find foothold in ICT • ICT access & literacy drive creates cultural & economic independence for Indian women. 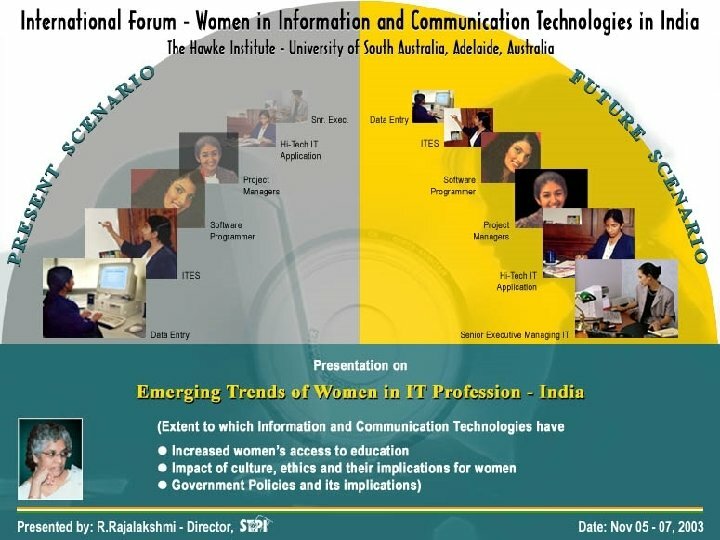 • 21% are Women out of 650, 000 professionals employed in IT • Expected to touch 35% by the Year 2005 • Already 65% women in ITES segment • 1: 3 to 1: 7, Female: Male Gender ratio in employment • 76% of this strength is graduate degree or above • 1. 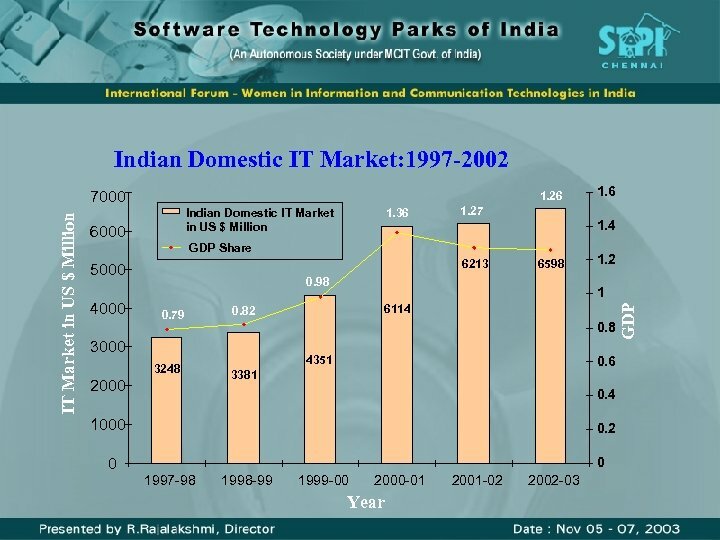 1 Million people on demand estimated by Year 2008 • 235, 000 shortfall anticipated by 2008 Can Indian Women make good this shortfall & sustain growth ? 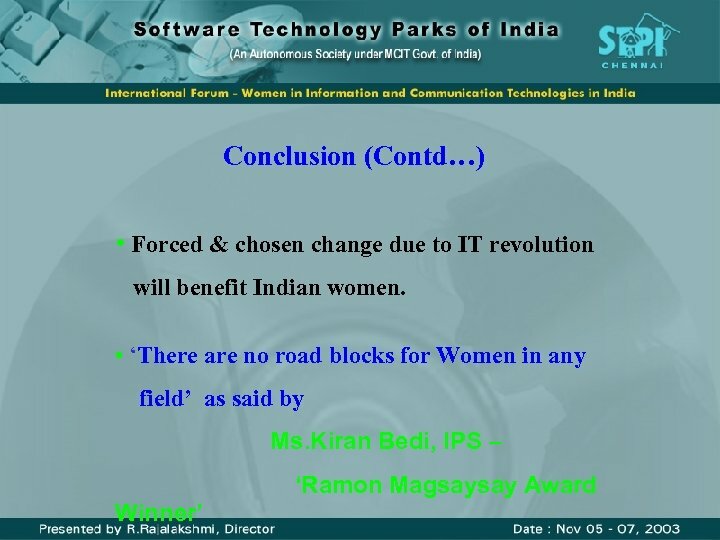 What I say ? 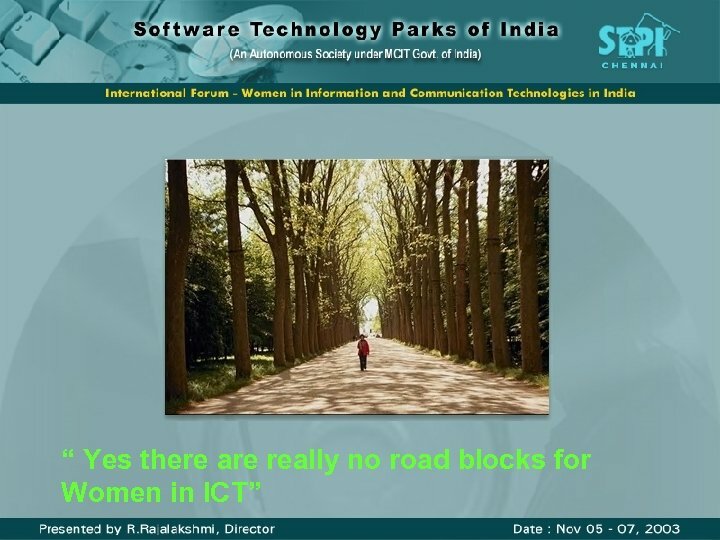 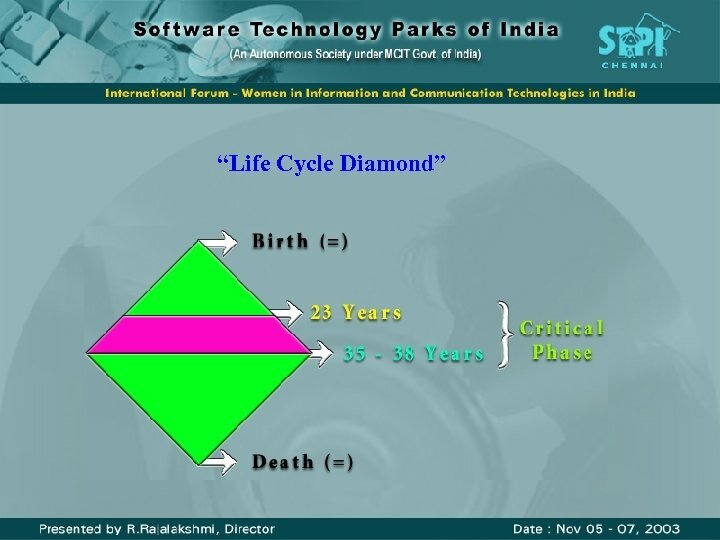 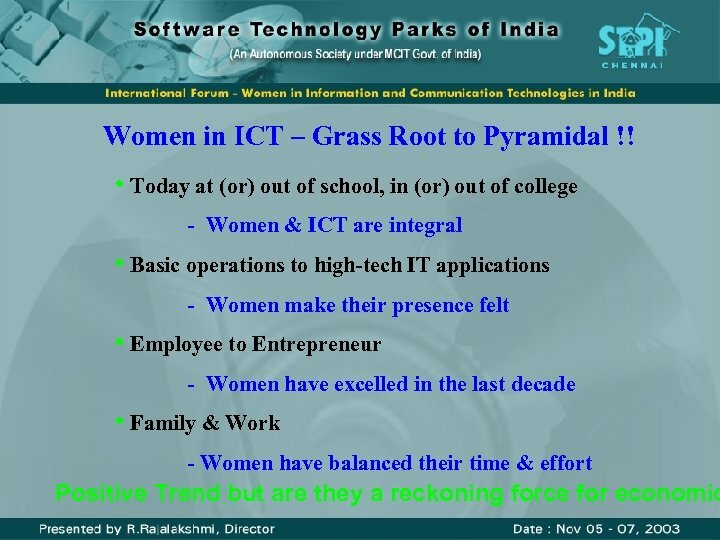 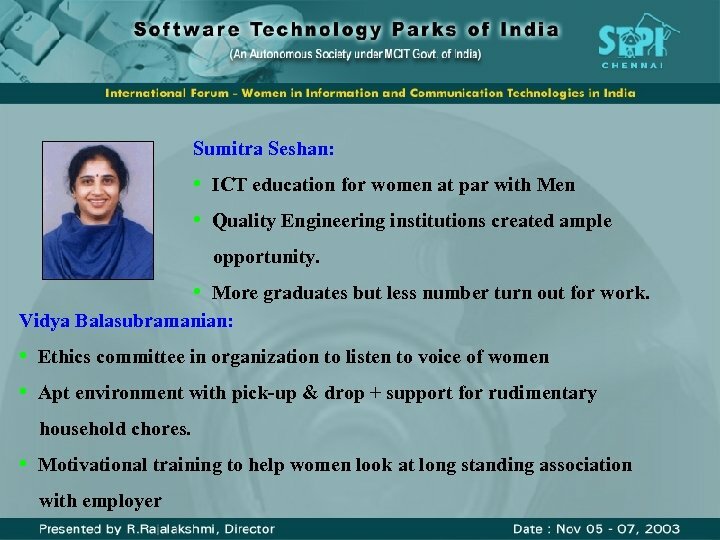 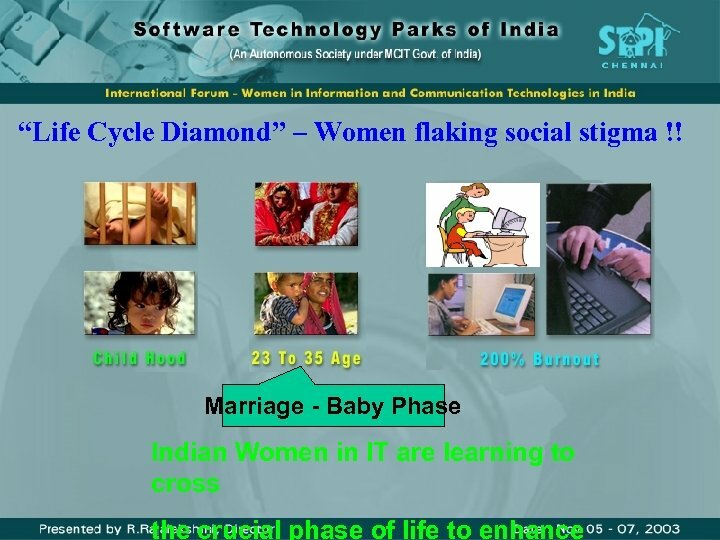 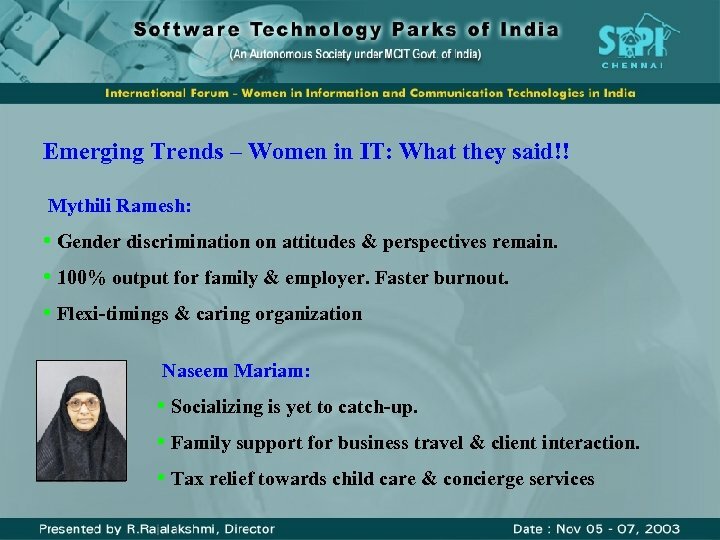 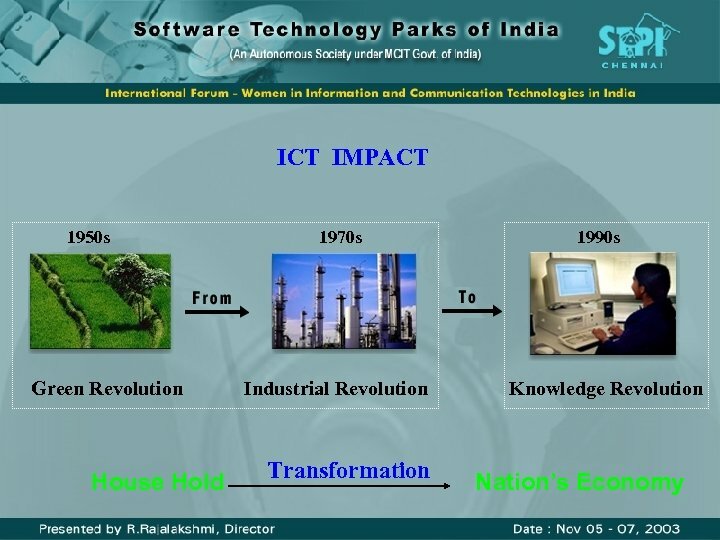 My Belief … • As enabler of IT over the last 12 Years being in the Ministry of Communication & Information Technology / STPI, I believe that • Women’s share in ICT could easily grow to 45 ~ 50% in next 5 years provided women: - repositions & become more career oriented. 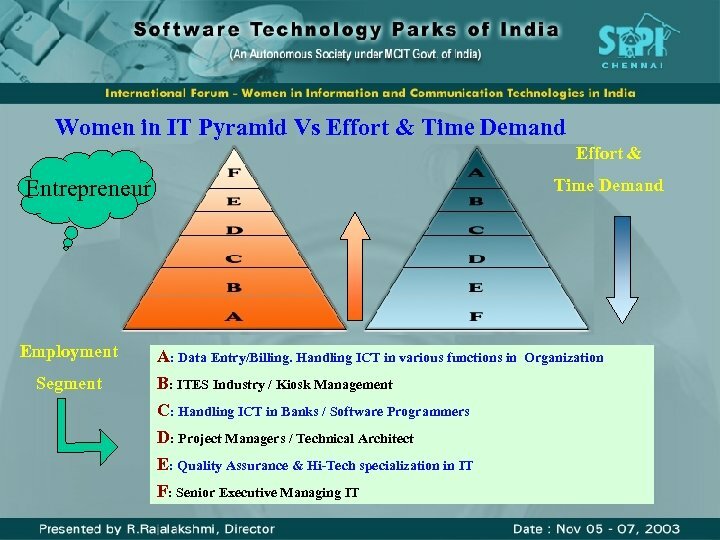 - prioritize & manage issues. 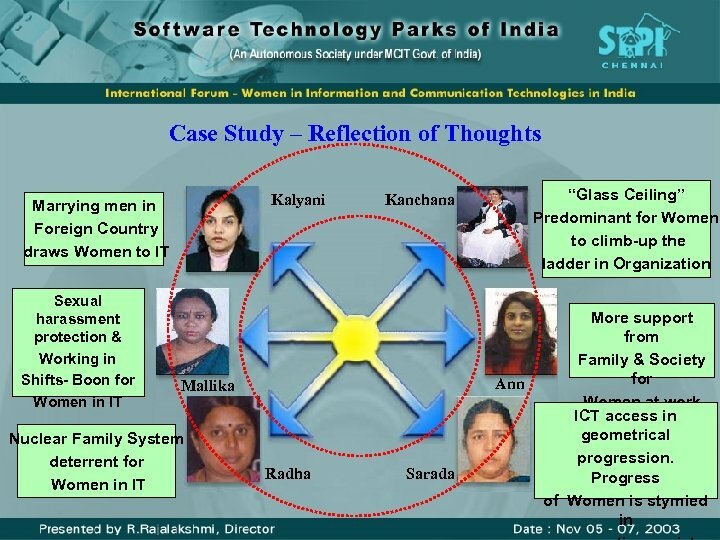 • Higher percentage of Women in Senior Positions in IT will become a reality. 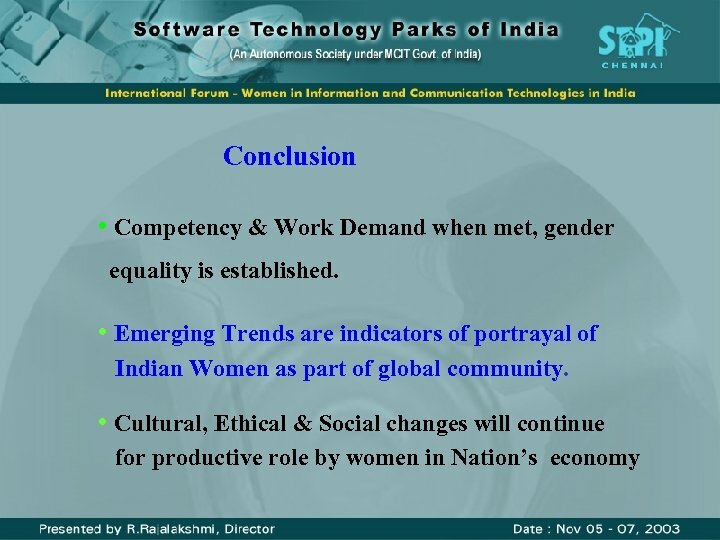 WIT 2003 Conference is towards this direction.